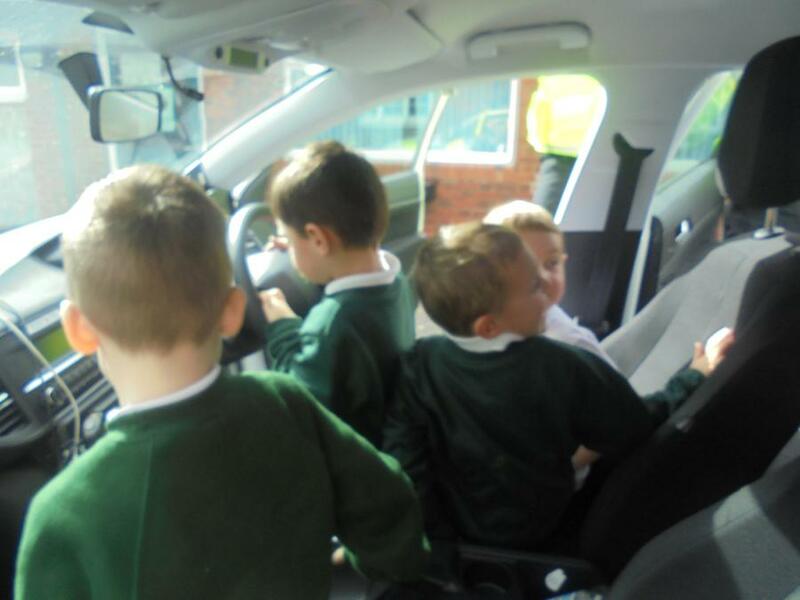 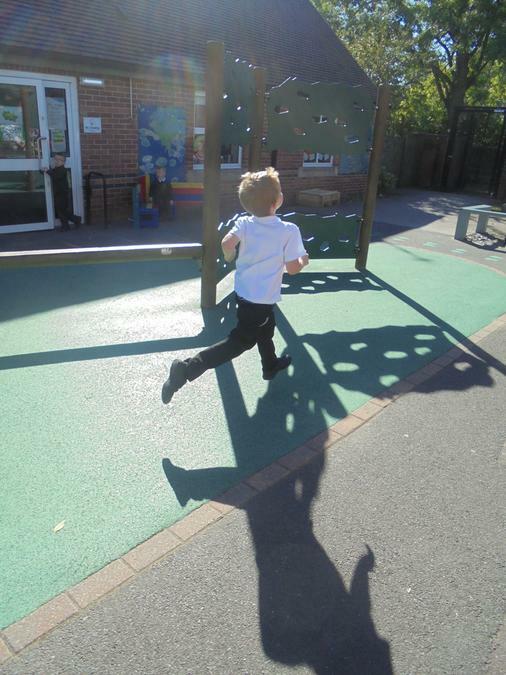 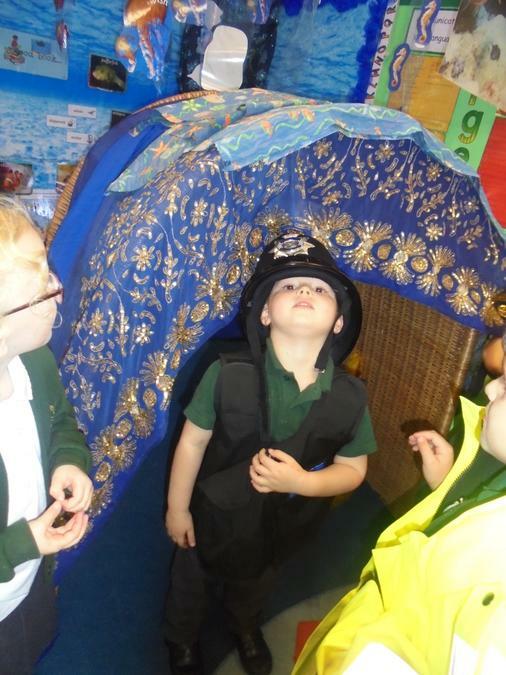 Welcome to the Foundation Stage page. 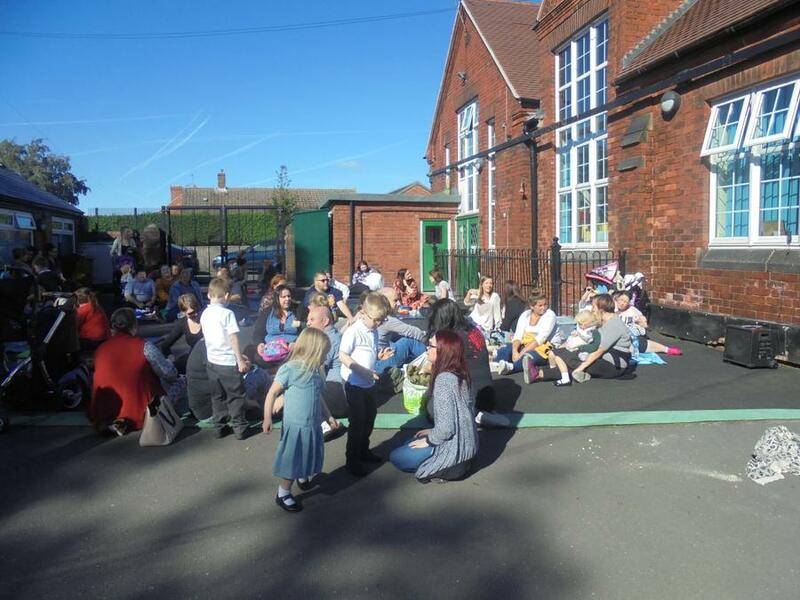 If you have any questions please do not hesitate to contact us on the playground before or after school, alternatively please ring to arrange a time after school, many thanks. 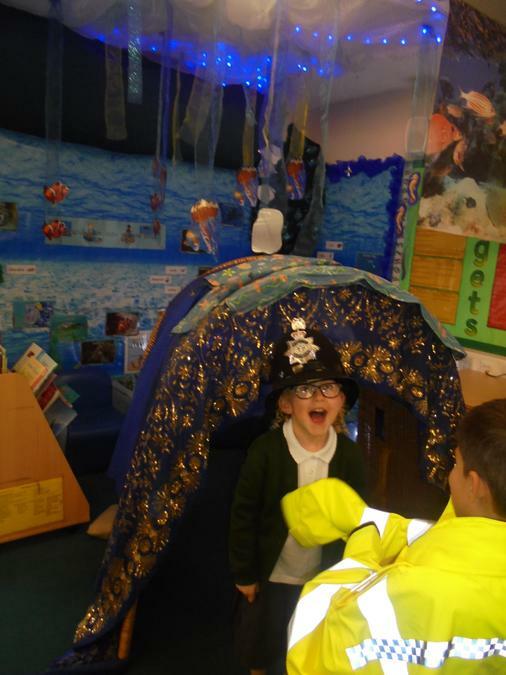 We had lots of fun dressing up and celebrating World Book Day 2019. 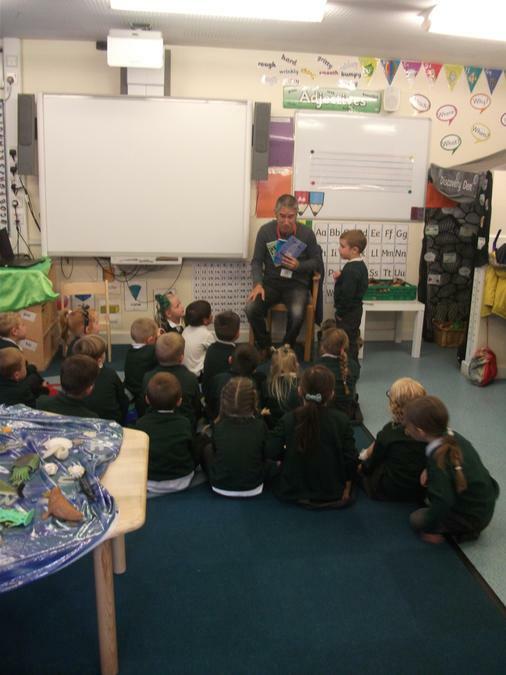 We talked about our costumes and favourite books, read stories and made our own book marks. 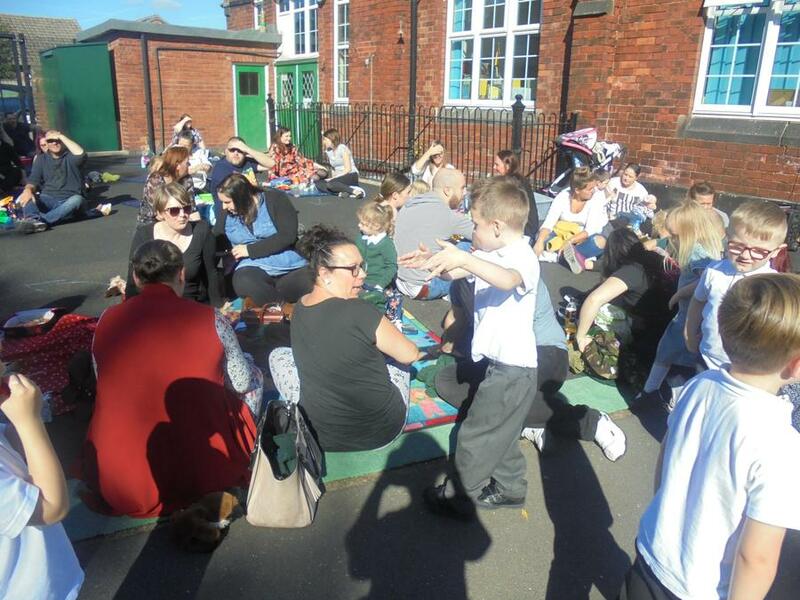 Thank you to the parents and children who joined us for Stay and Play this afternoon (Wednesday 13th February) it is always a pleasure to see you and chat about your children. 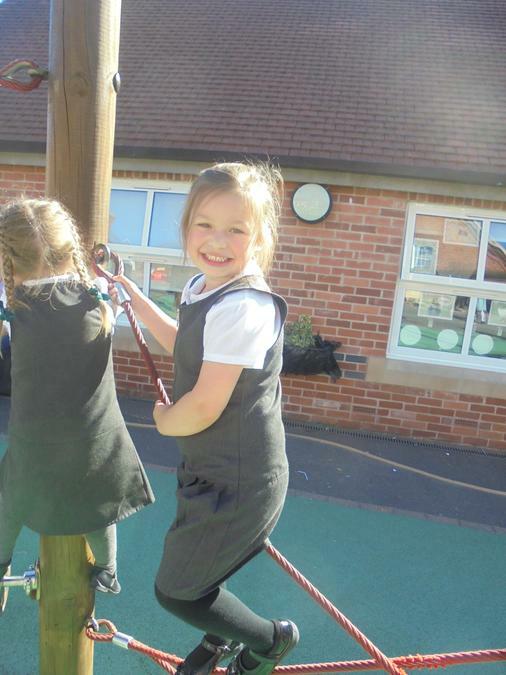 We hope you enjoyed the activities as much as the children did. 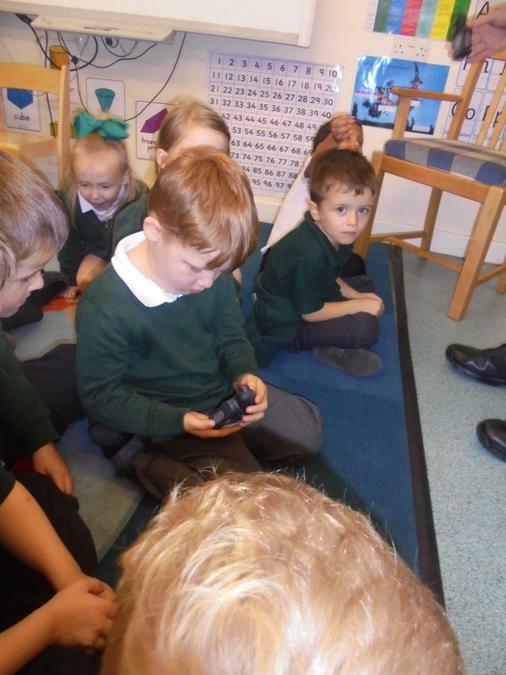 We are very happy to welcome Rocky, the Giant African Land Snail to our classroom. 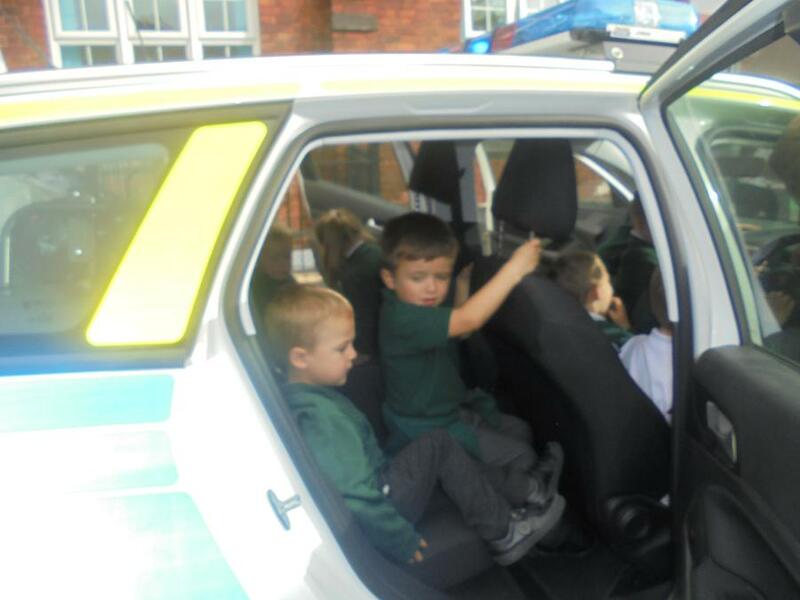 He is settling in very well and is proving very popular with the children. 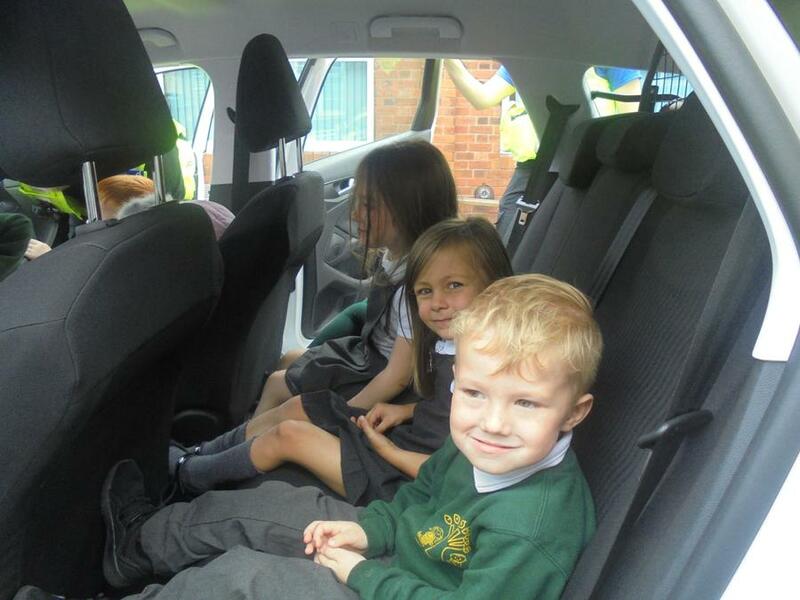 The children have been helping to feed, clean and hold Rocky, they can also take him home for weekends and holidays. 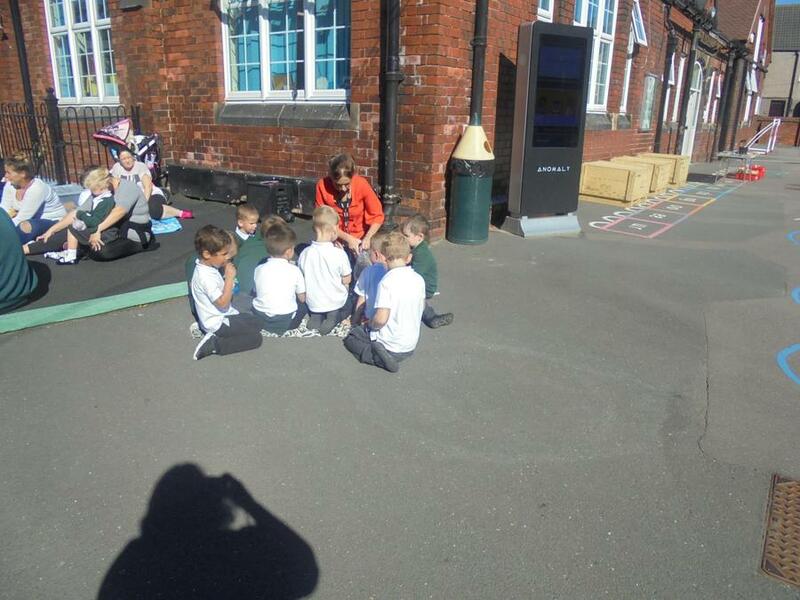 We recently had a visit from a lady called Manisha, who brought with her a Chinese Dragon. 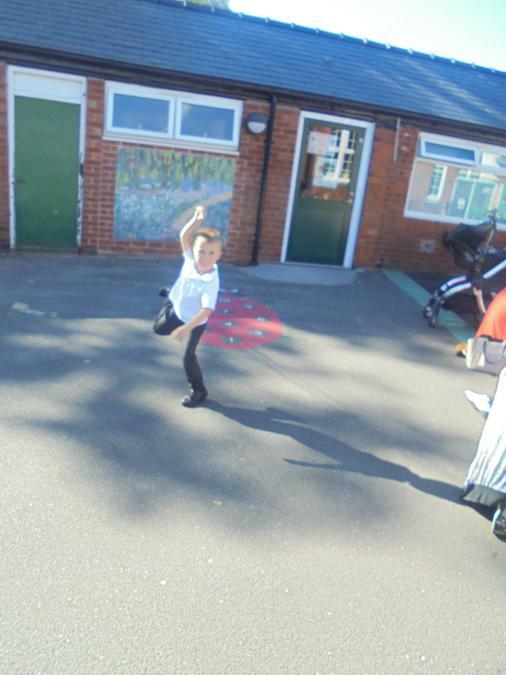 We learned about how people dance with the dragon to celebrate Chinese New Year. 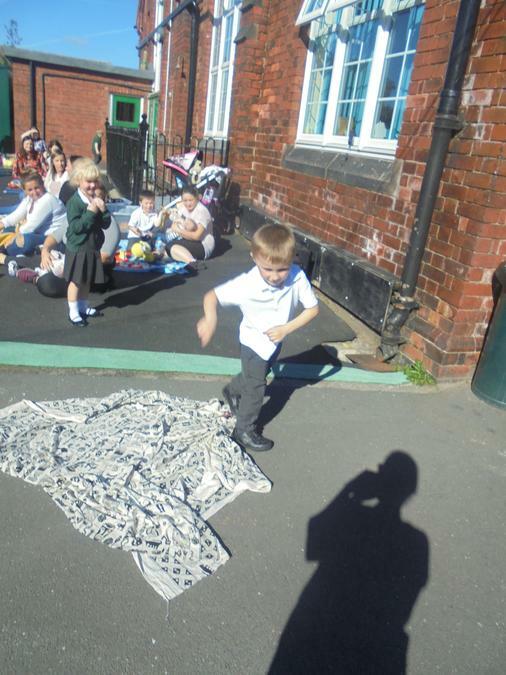 We were very lucky to be able to join in a dance with the dragon. 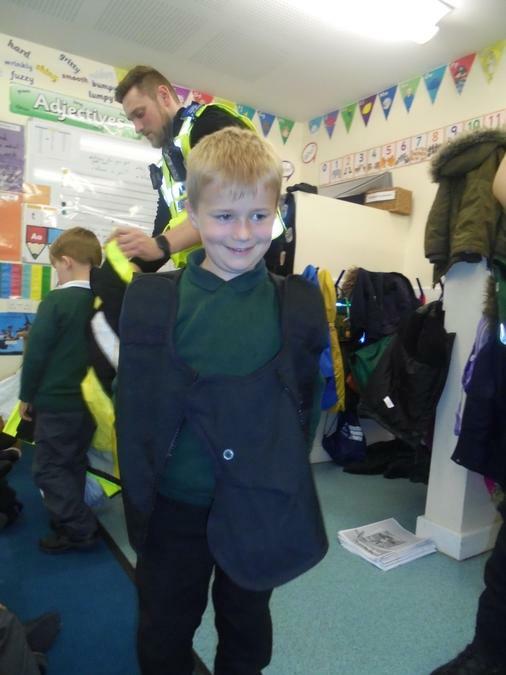 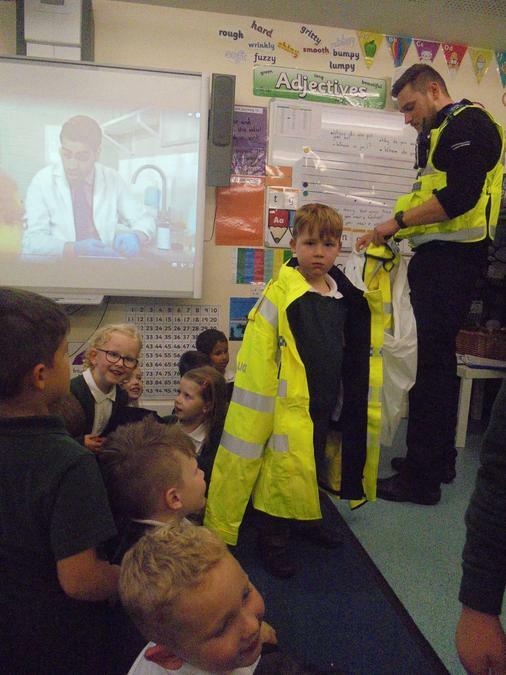 On Friday 8th February we invited our grown ups to come into our classroom to see what we had been learning during the week. 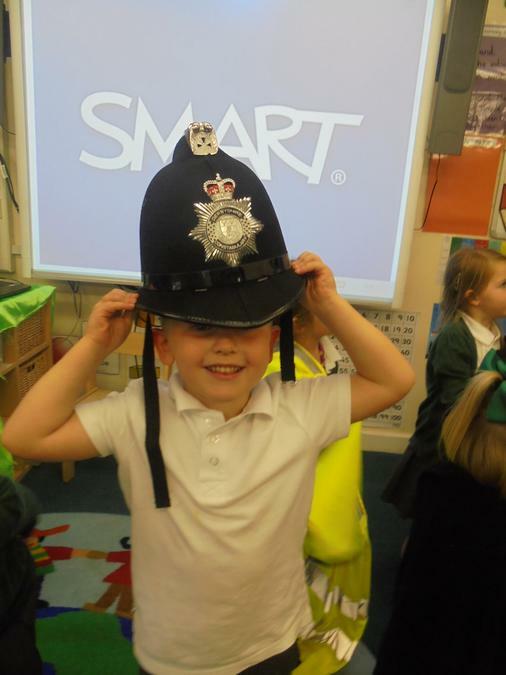 We took part in lots of fun activities and learned a lot about how to be safe on the internet. 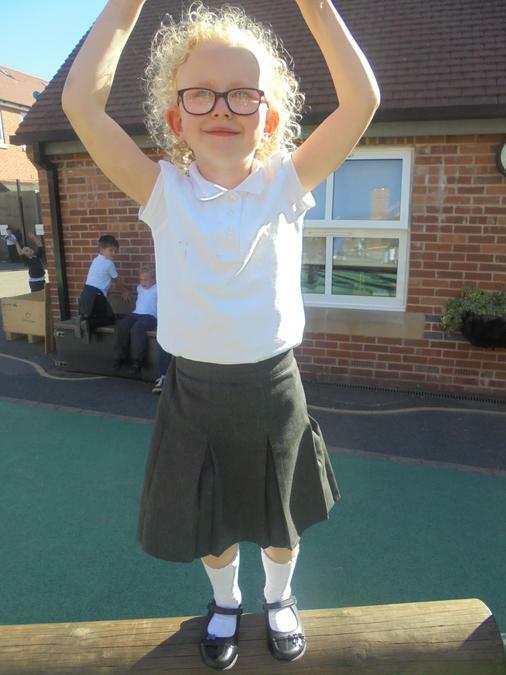 On Friday 1st February it was the NSPCC National Number Day. 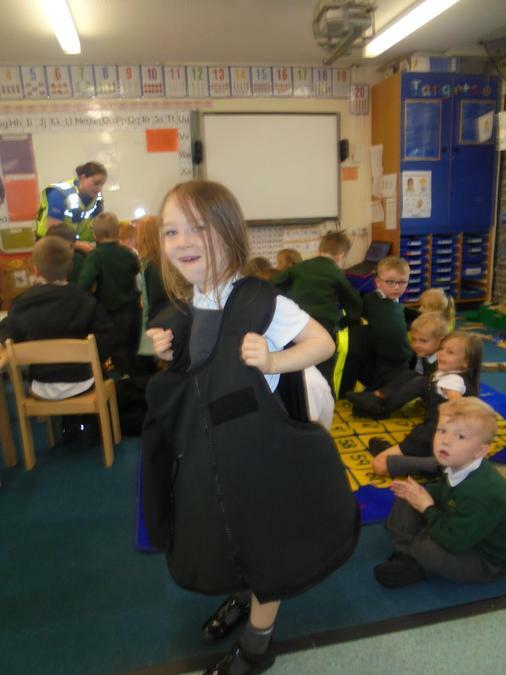 We wore a number to school and donated a pound to the charity, we also had lots of fun investigating numbers and invited our parents in to join in the fun. 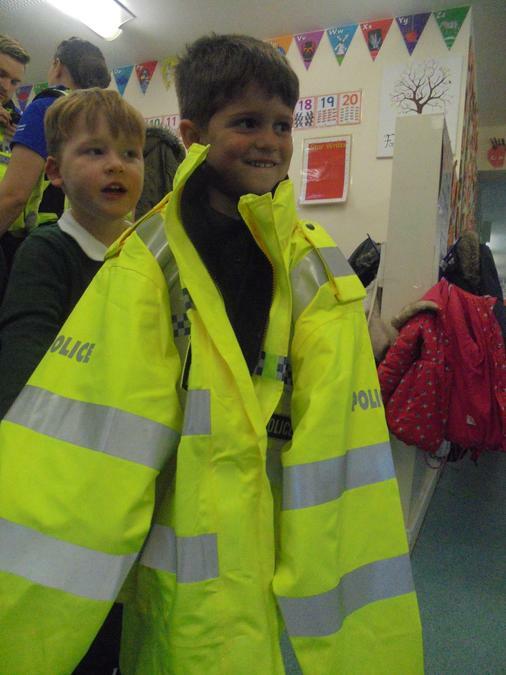 We were very lucky to have a visitor to school during our Literacy Week. 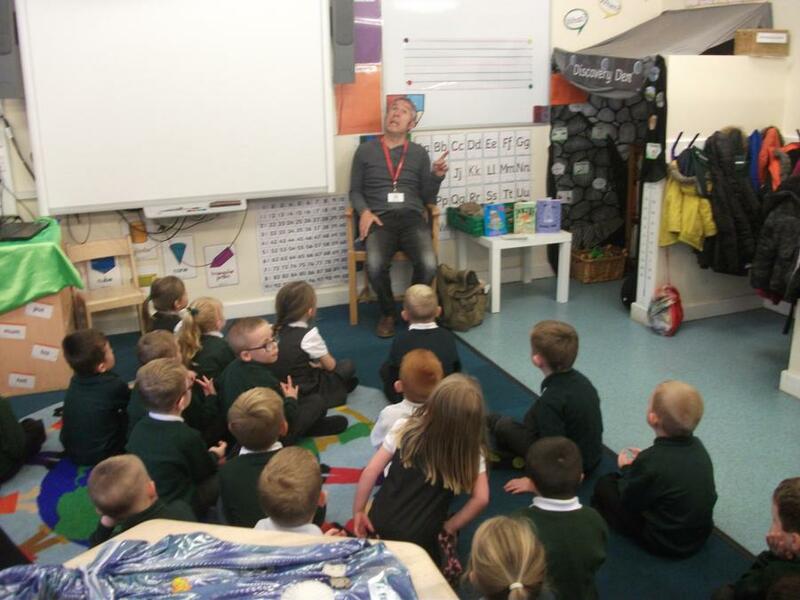 On September 17th, local poet, Andy Tooze came along and shared some of his poems with us. 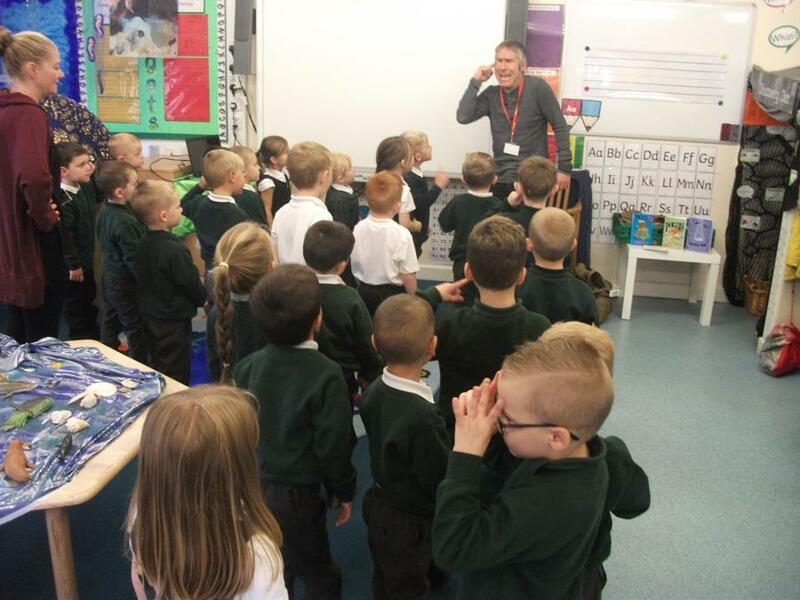 He taught us some simple poems and we learnt that poetry is fun. 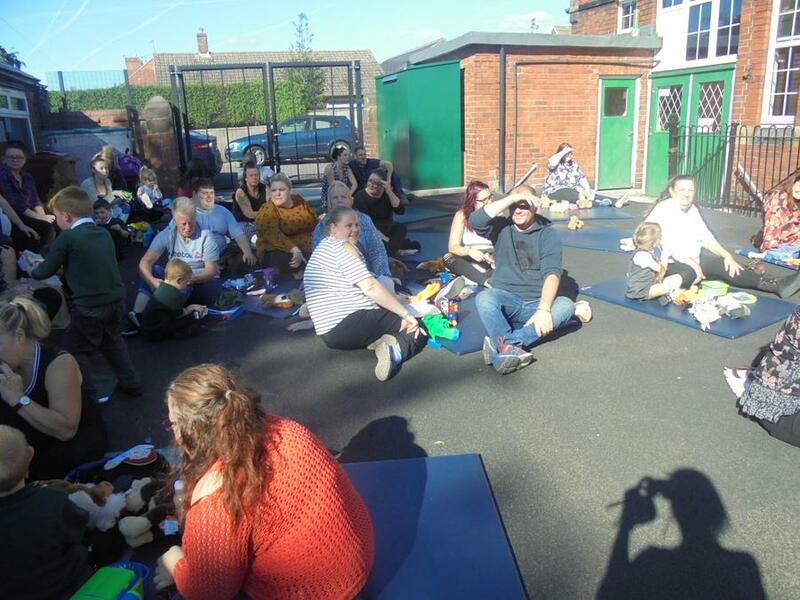 27.09.18 : Today's the day the Acorns had a picnic! 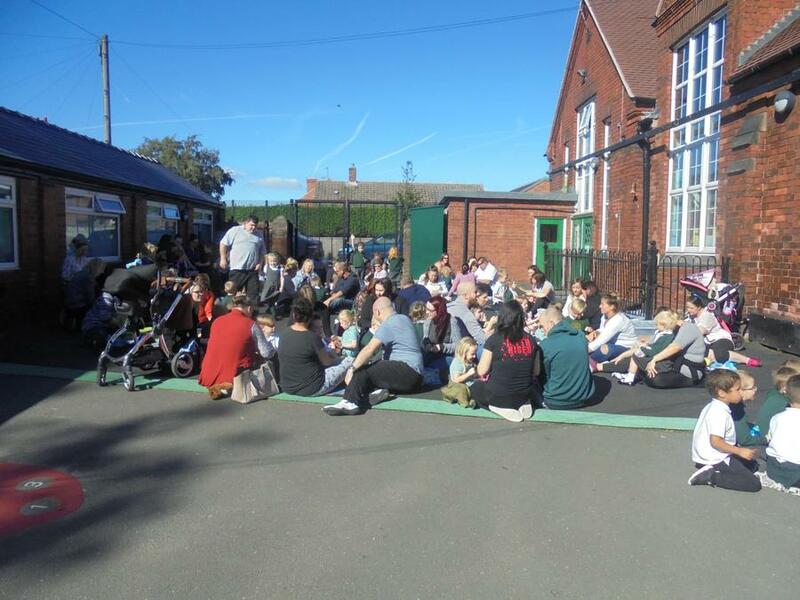 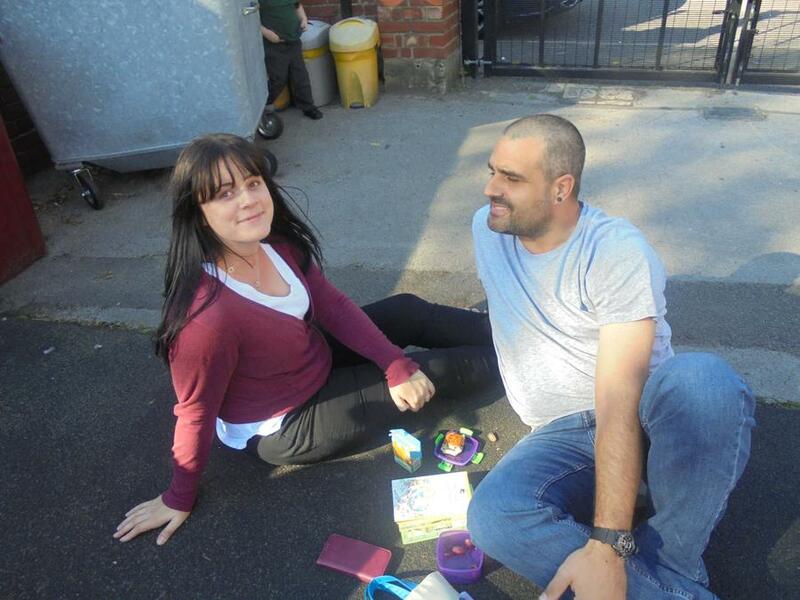 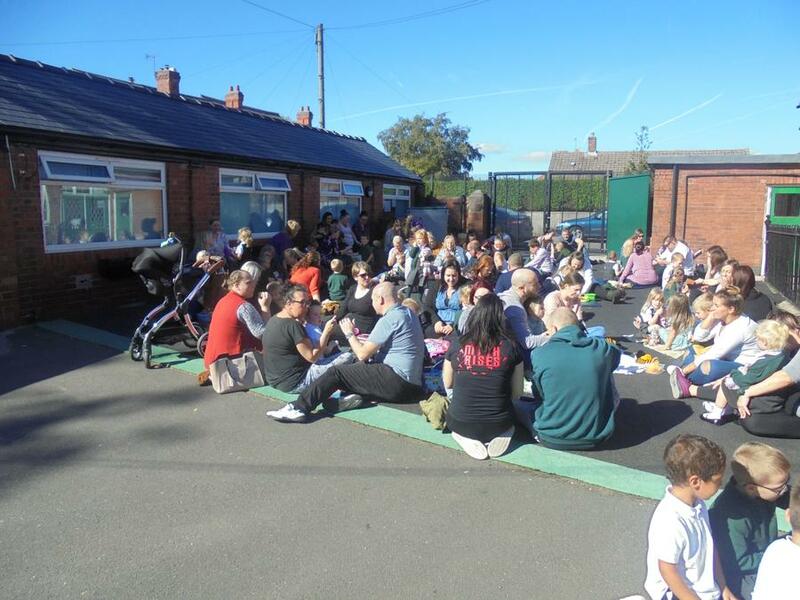 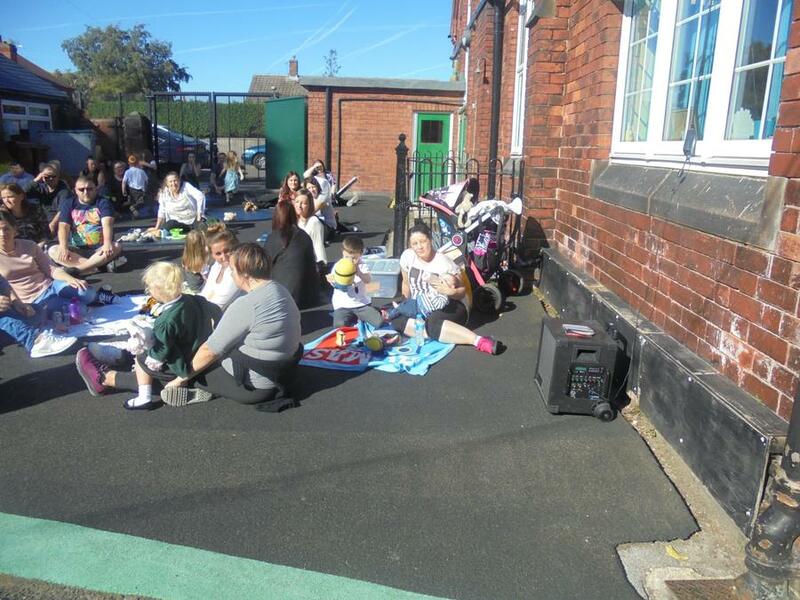 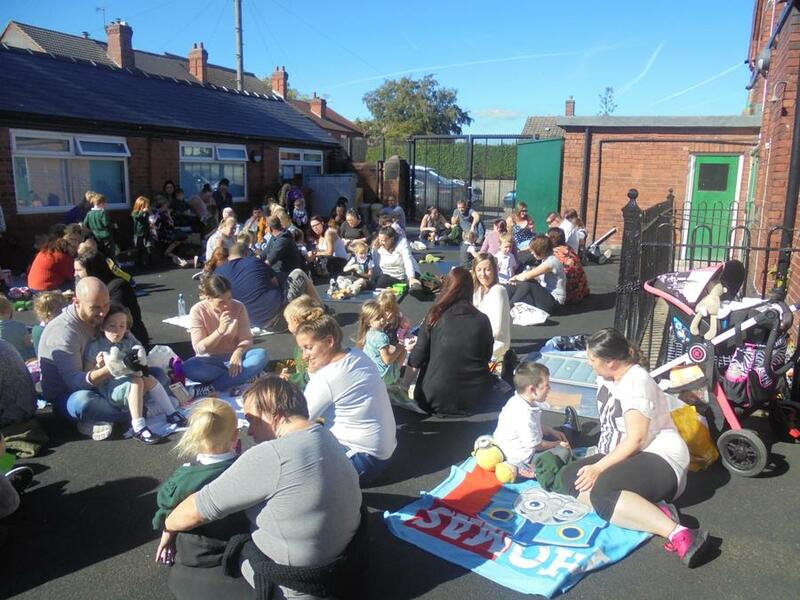 We had a great afternoon at our Acorns family picnic. 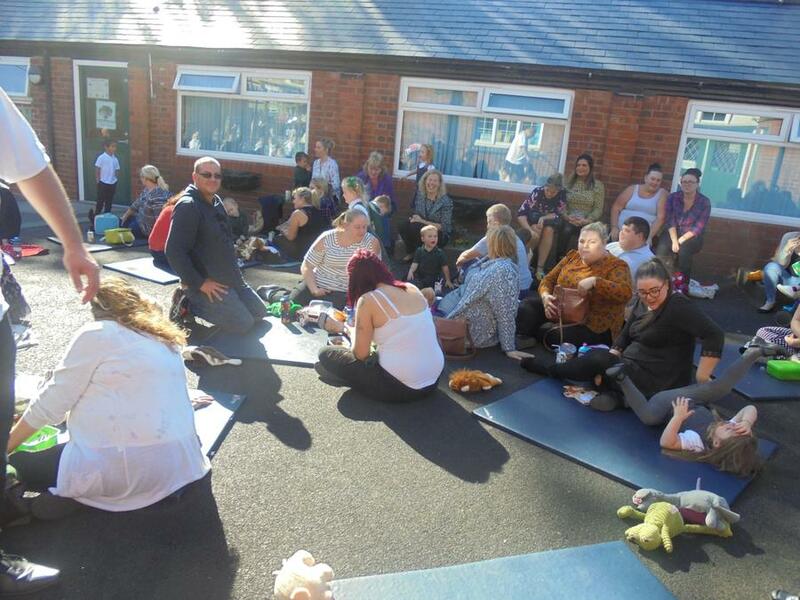 It was wonderful to see so many faces. 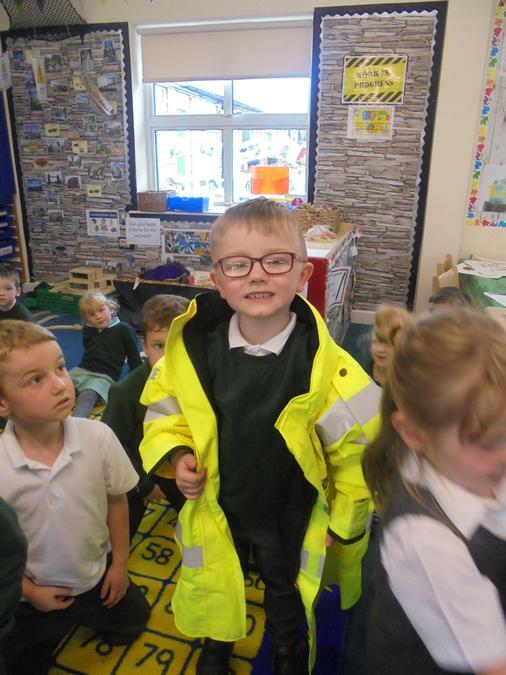 We have been learning all about people who help us. 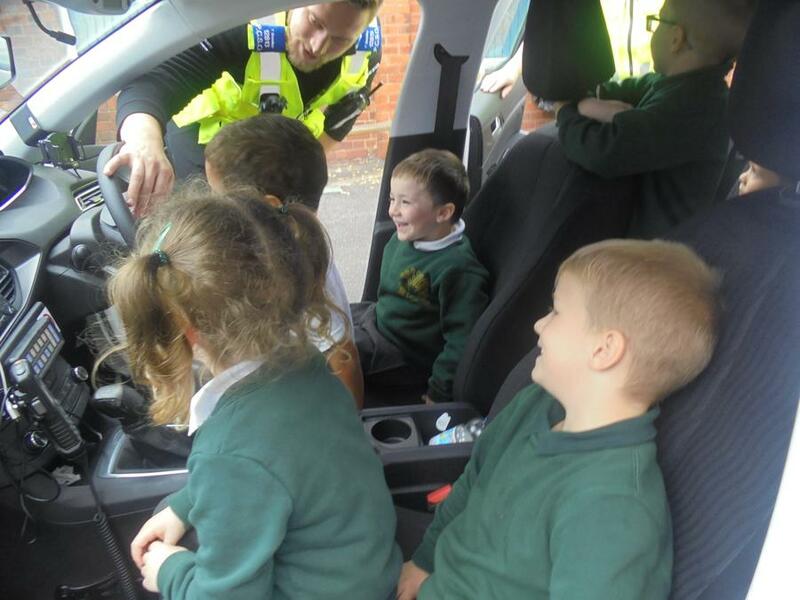 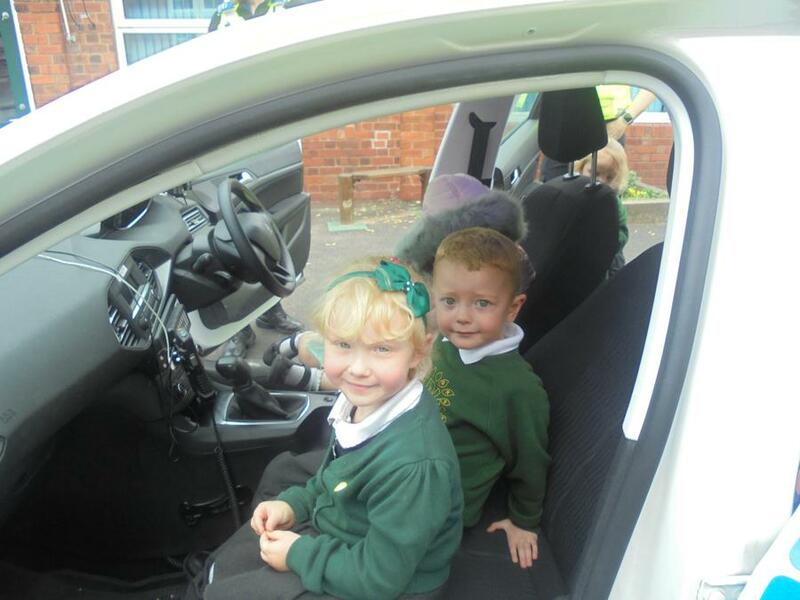 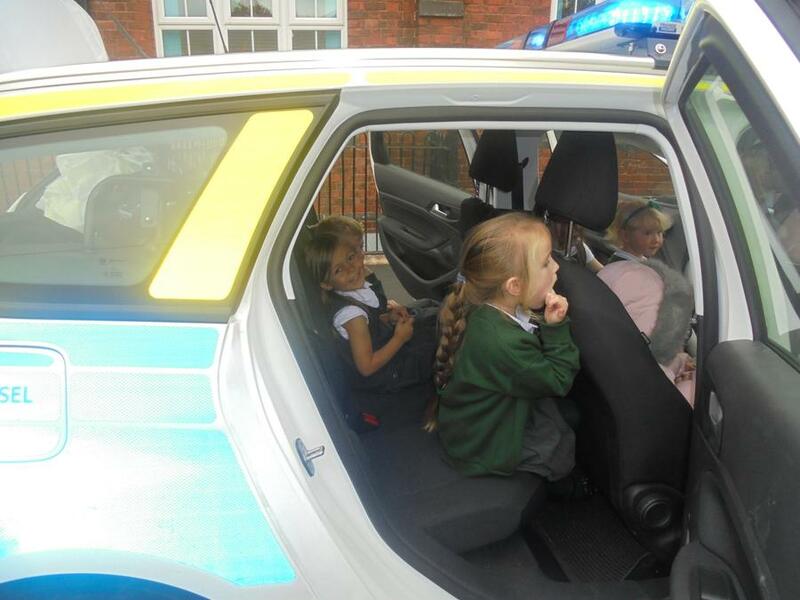 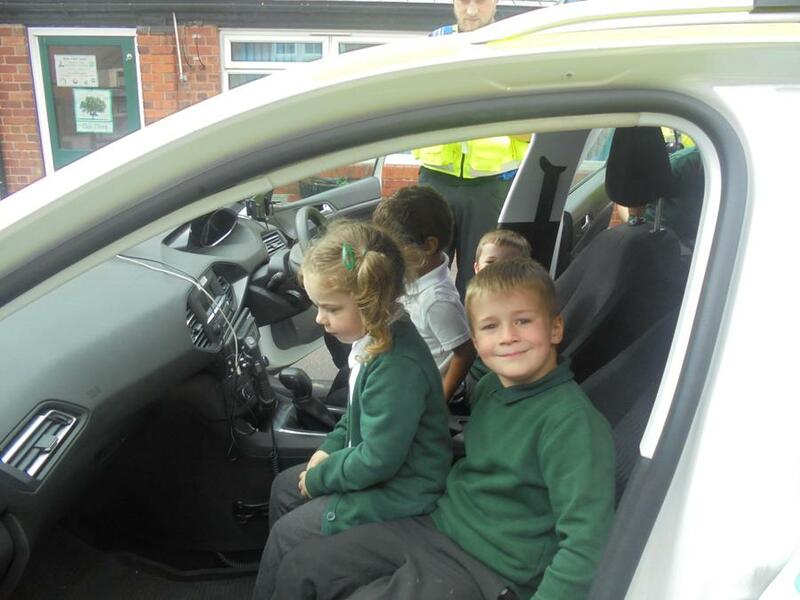 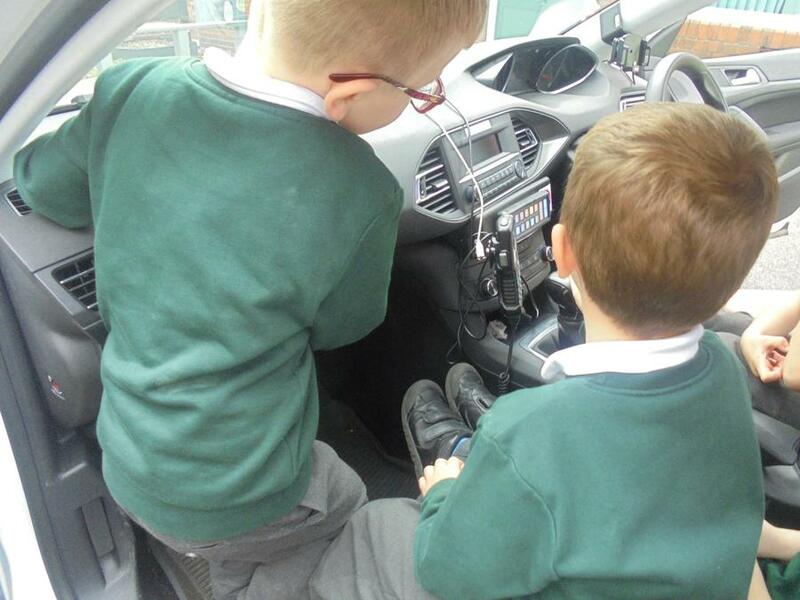 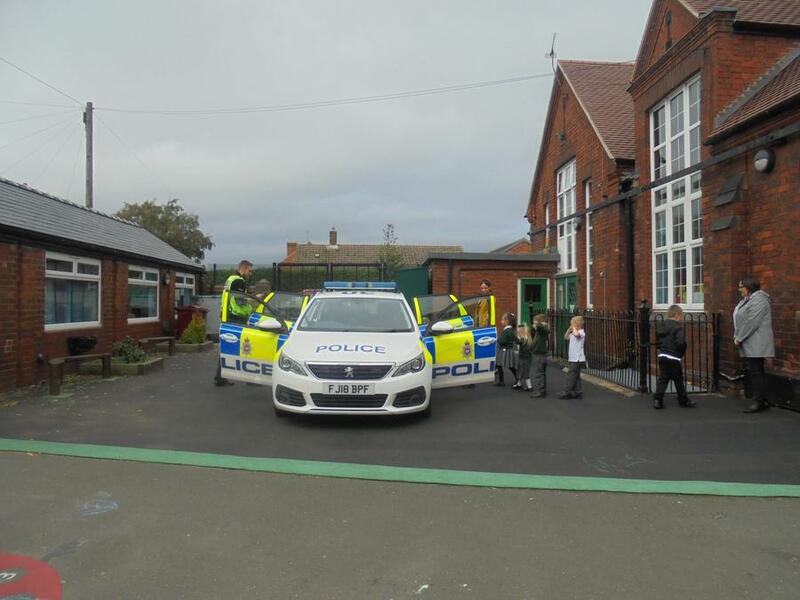 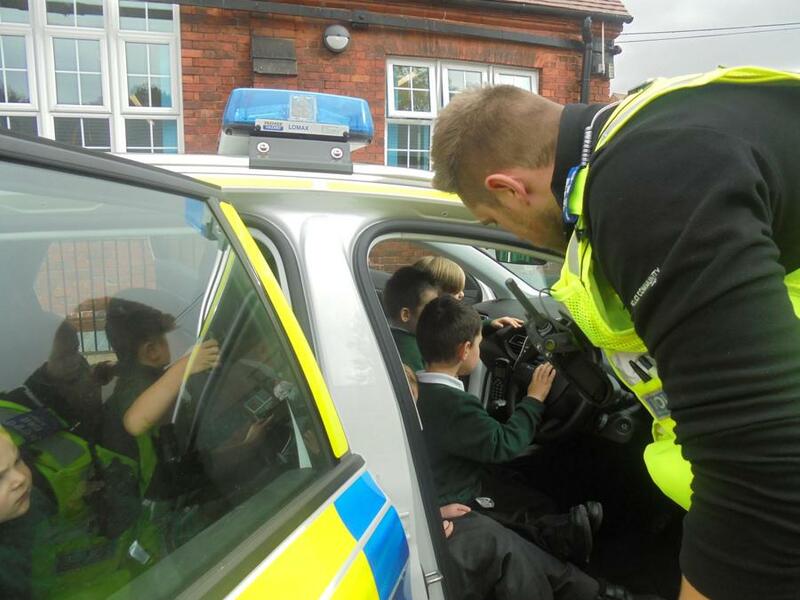 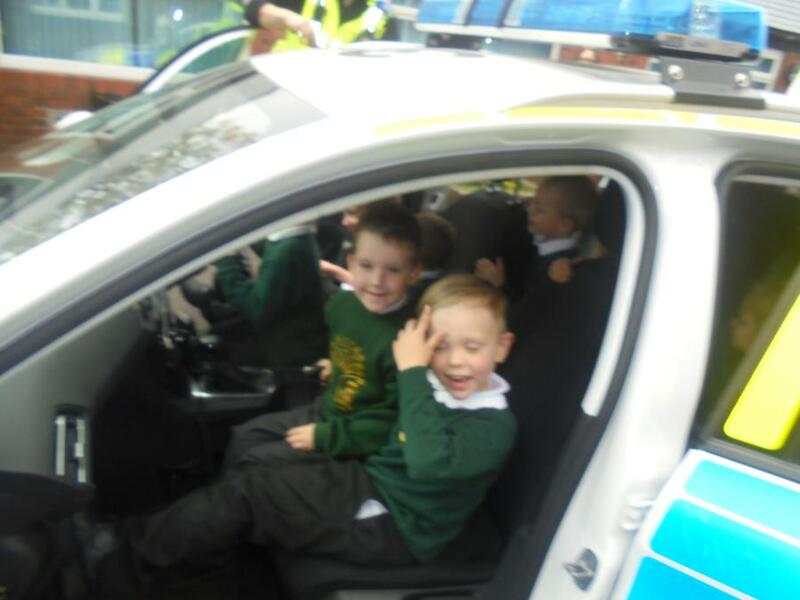 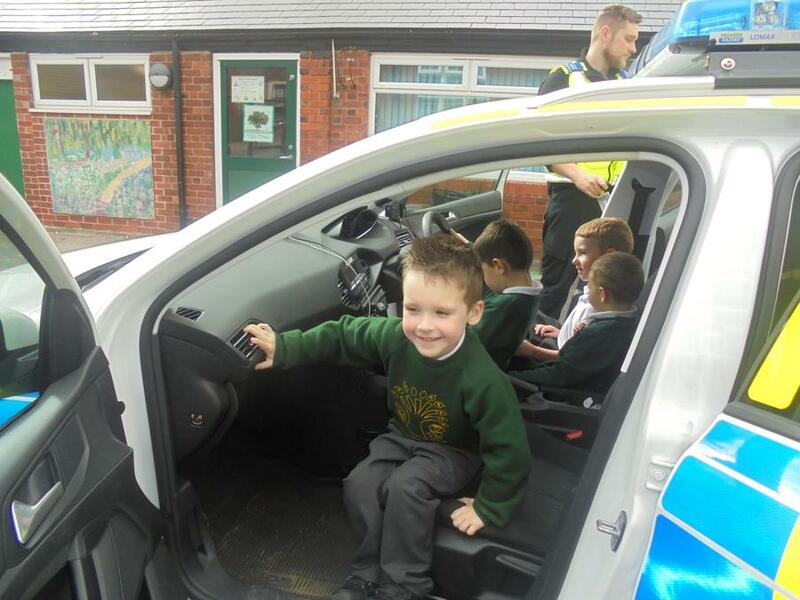 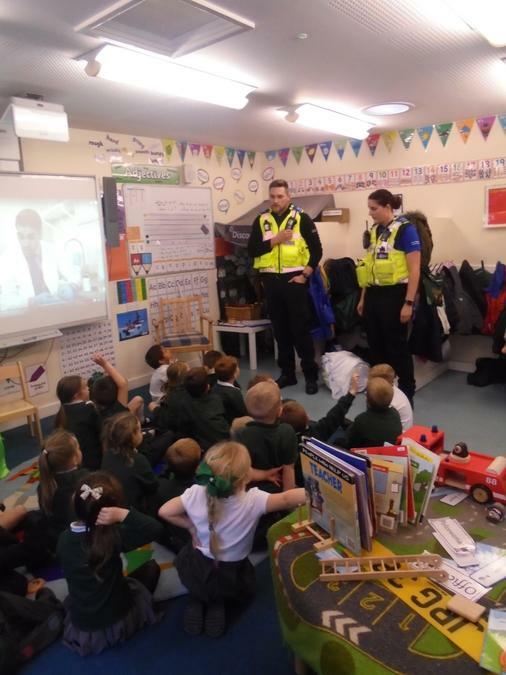 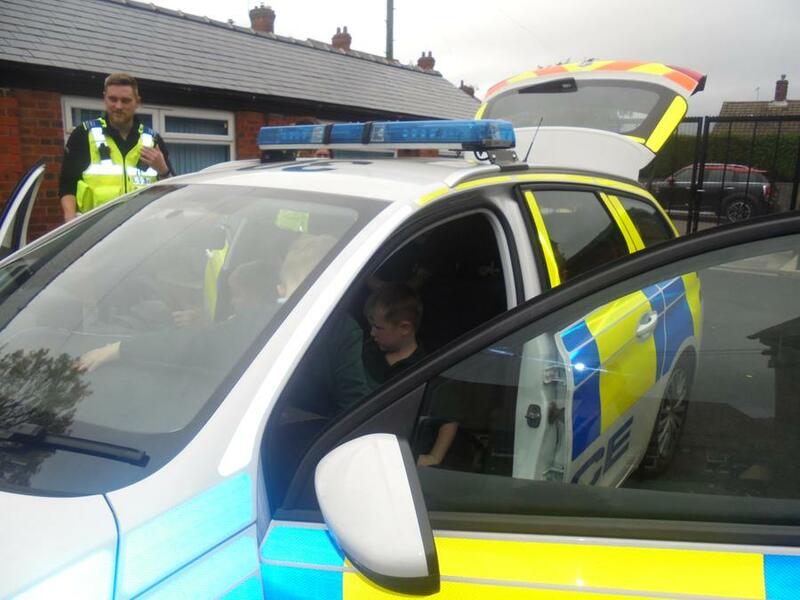 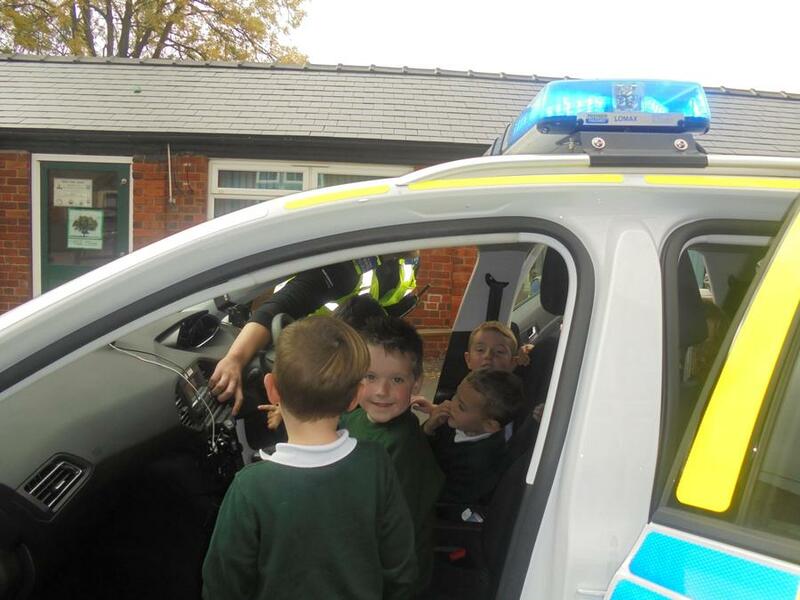 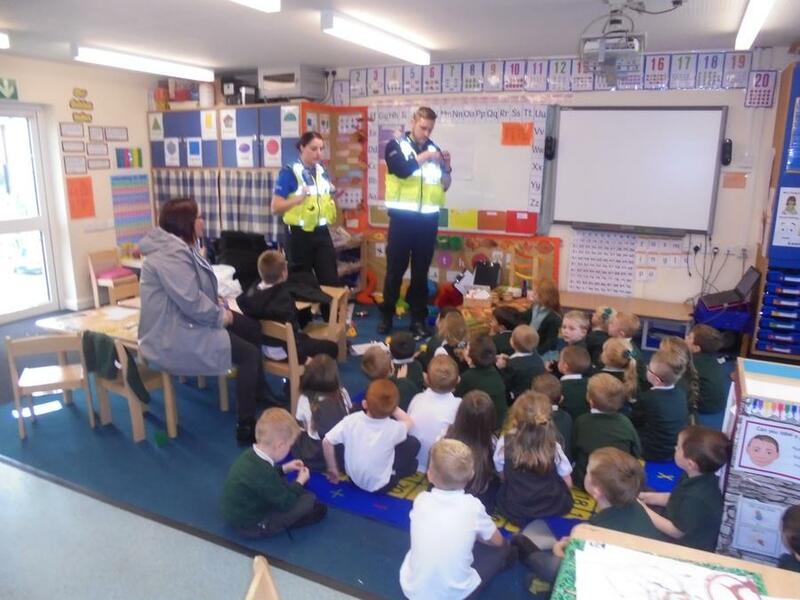 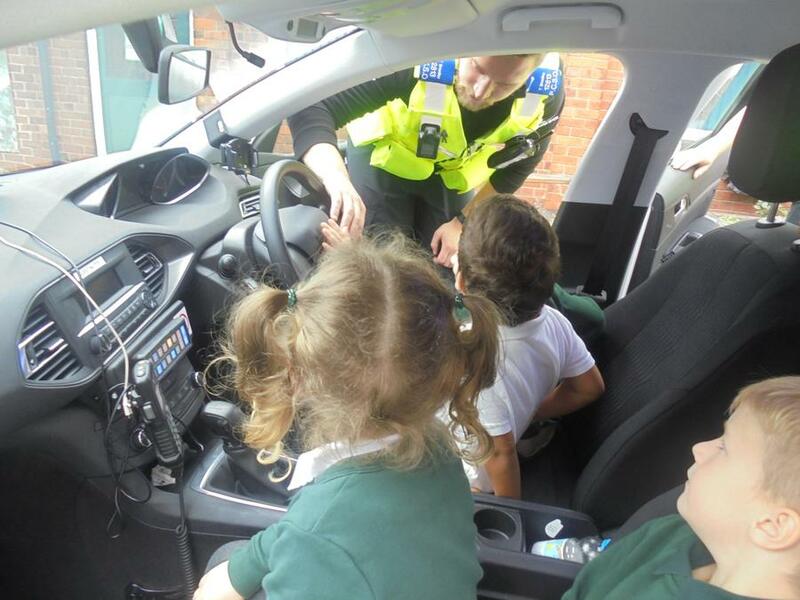 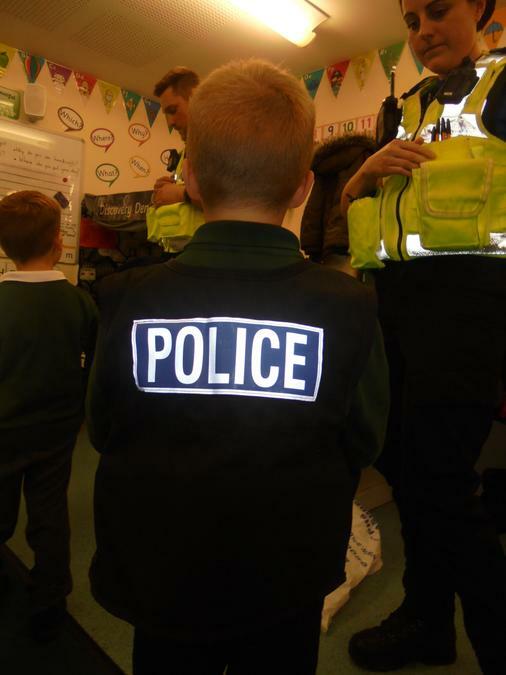 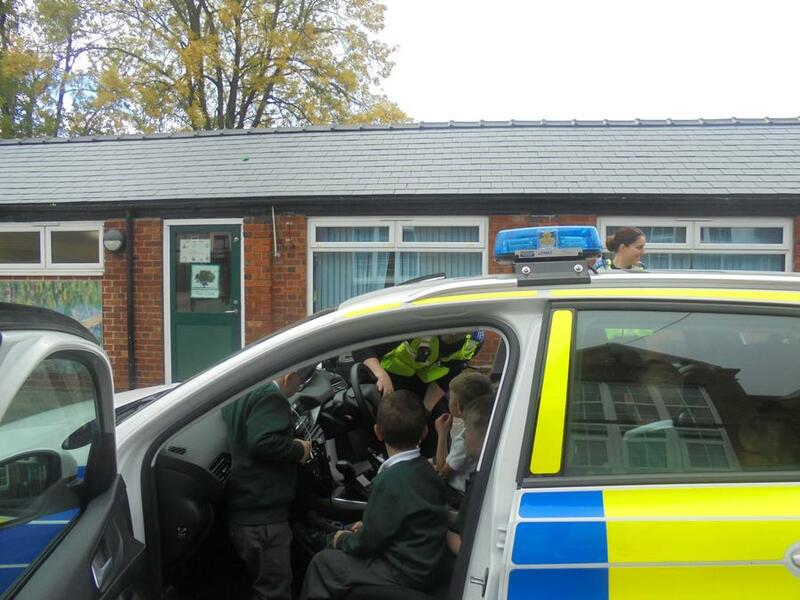 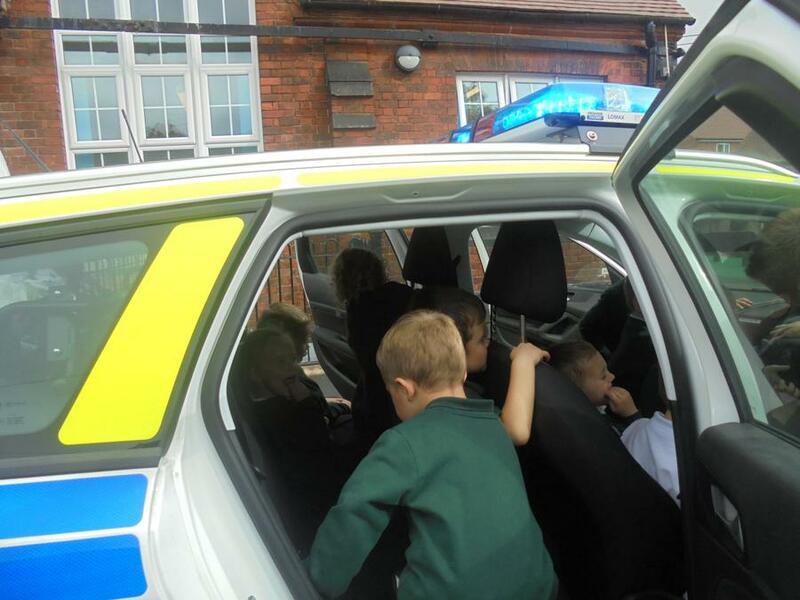 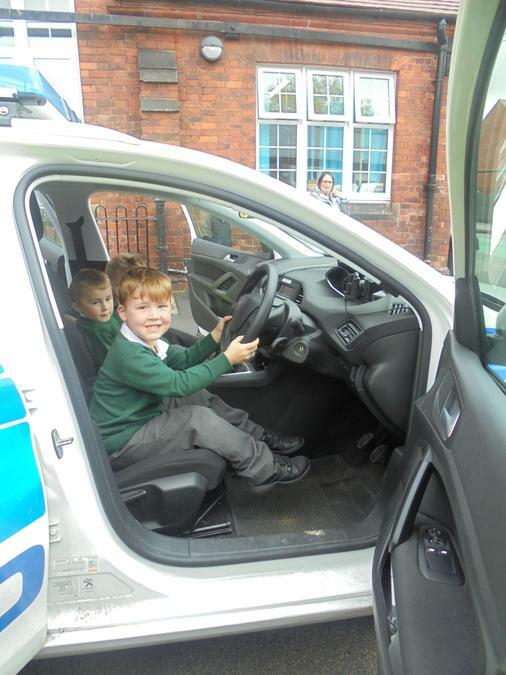 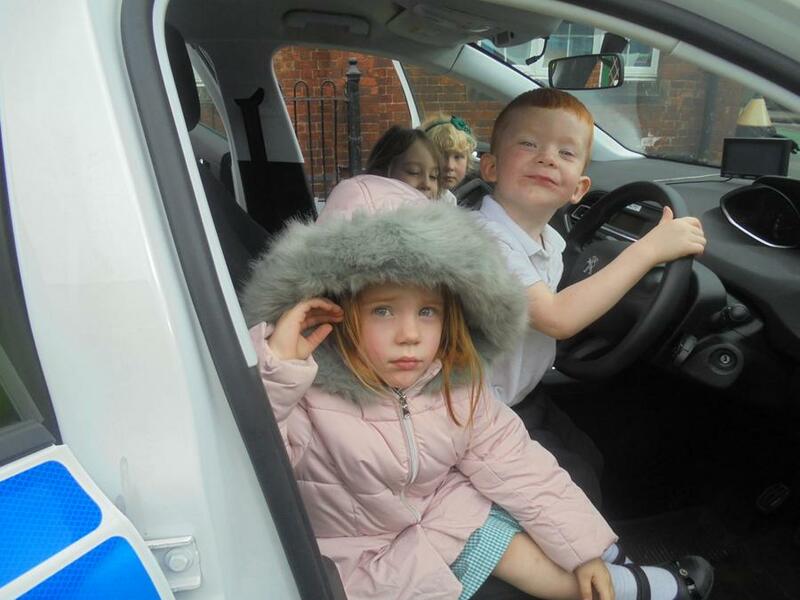 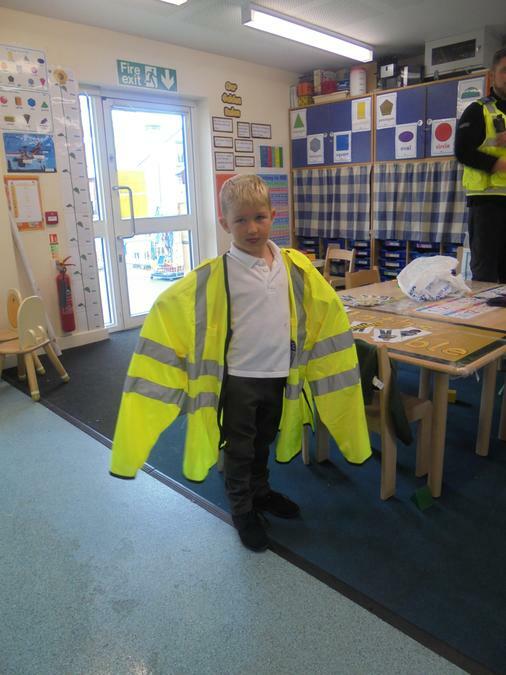 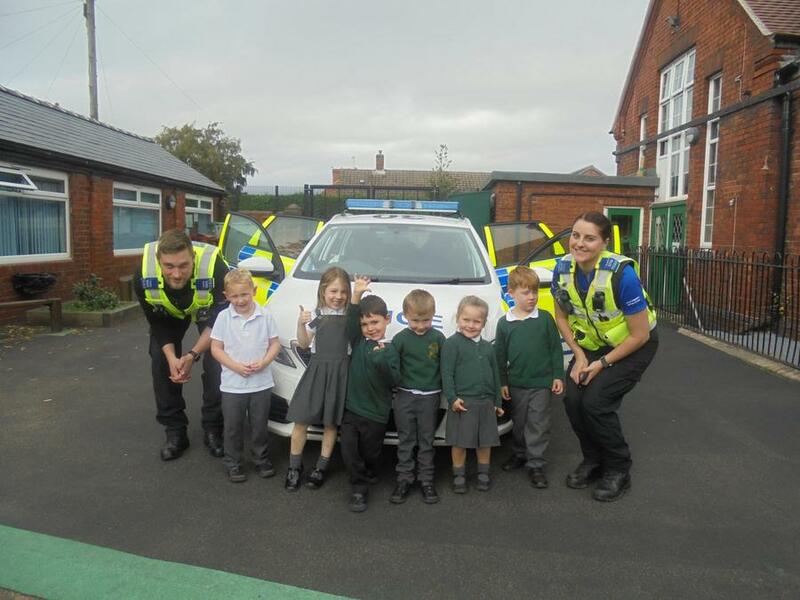 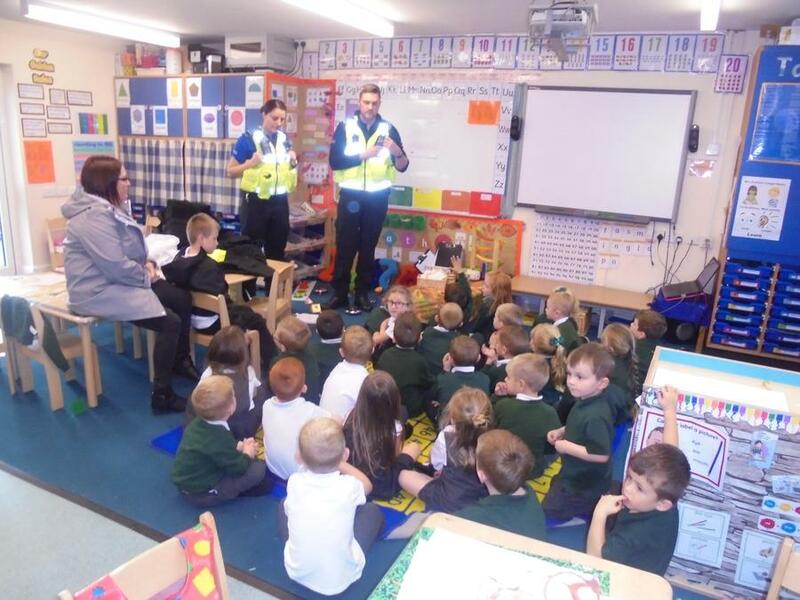 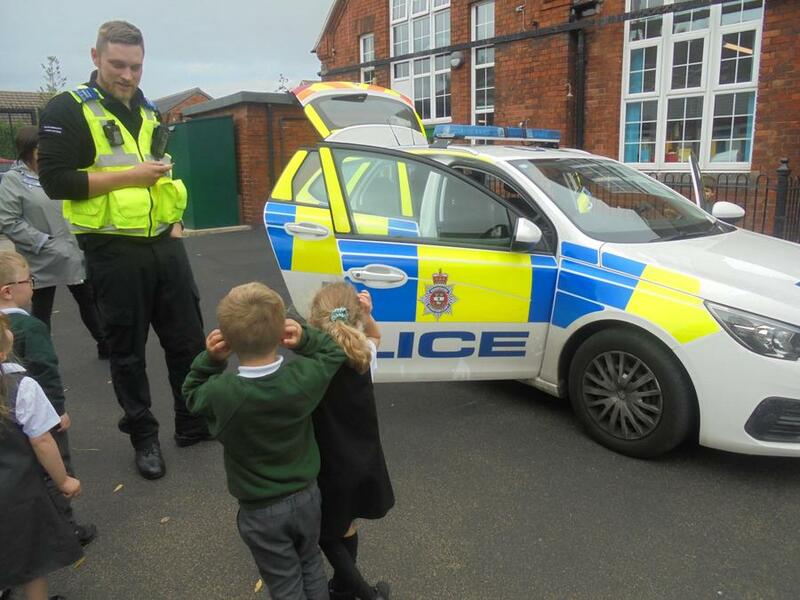 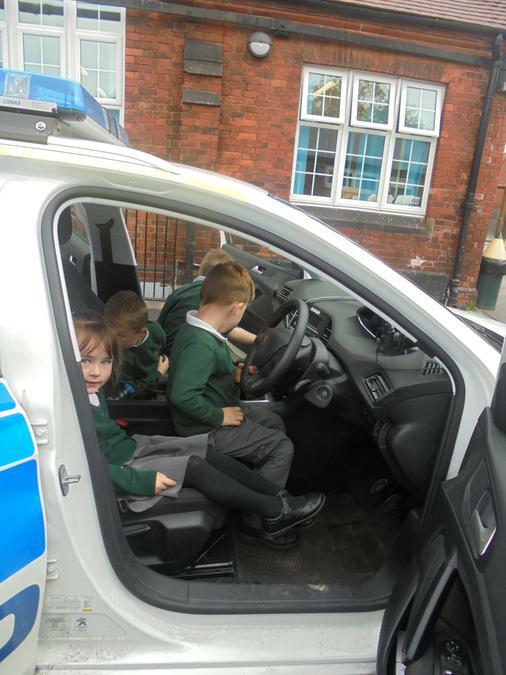 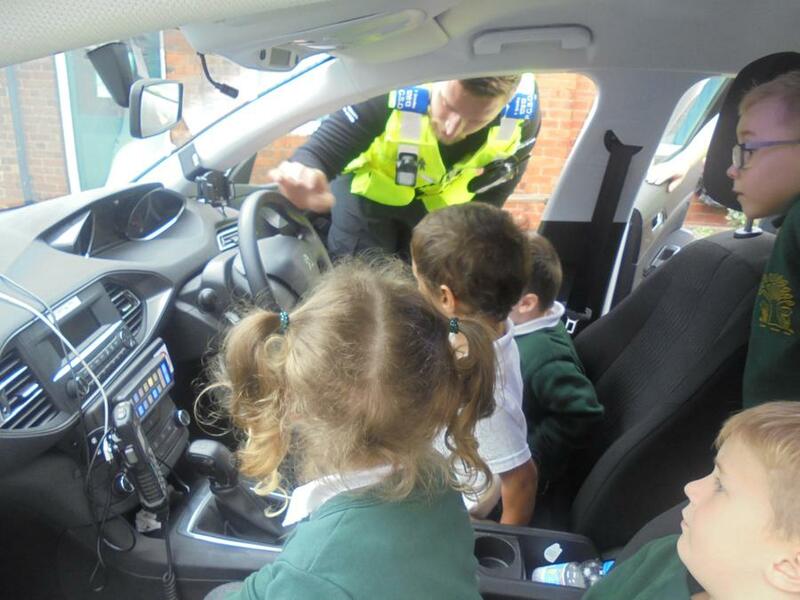 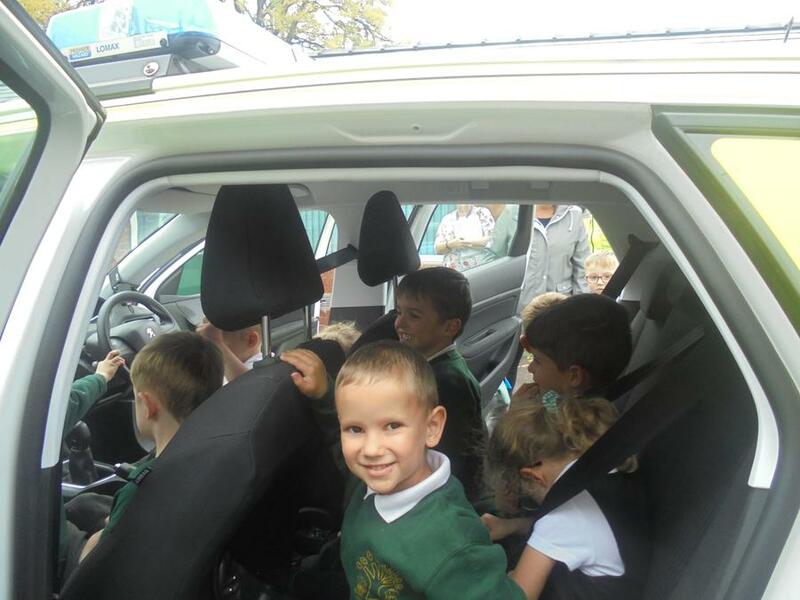 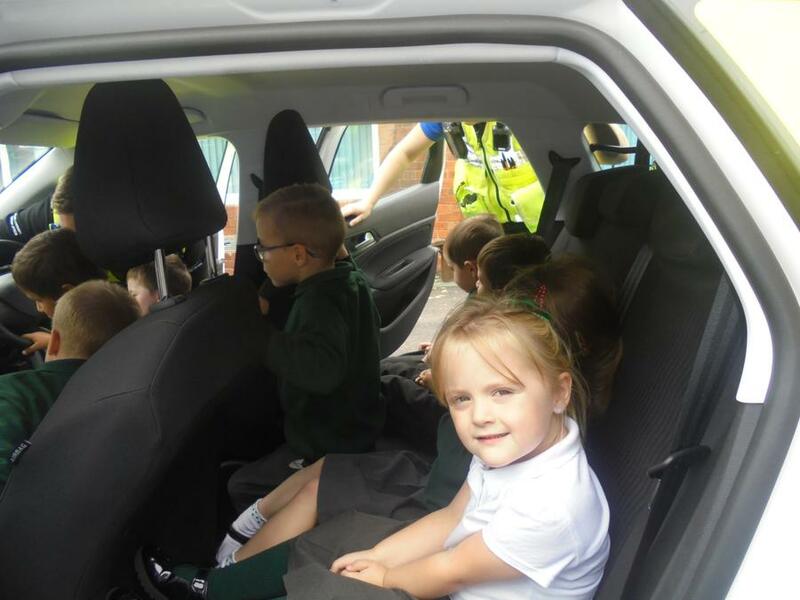 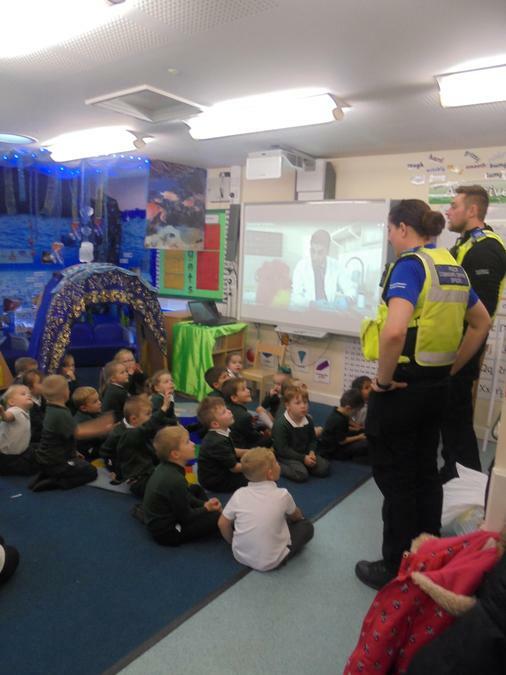 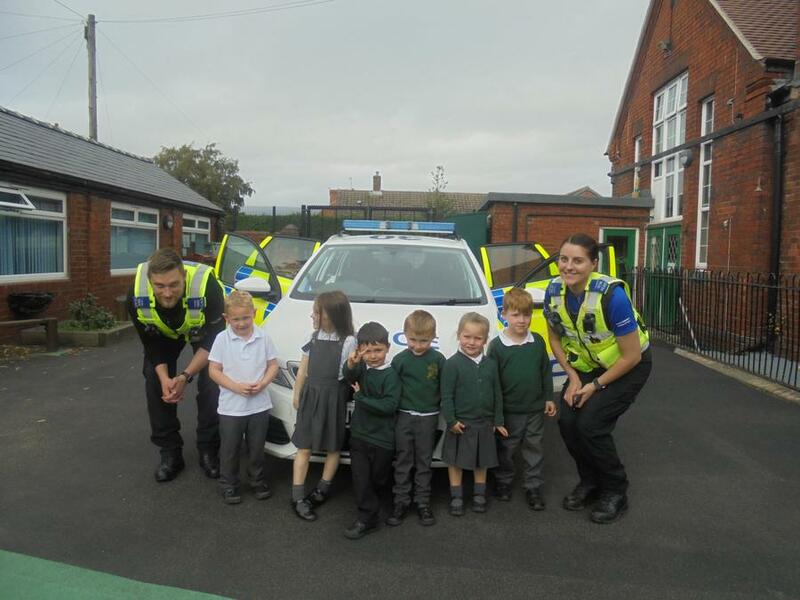 To enhance our learning we had some very special visitors , South Normanton's PCSO's Lucy and Tom.